Recently, Bajaj Pulsar 135 LS was taken out of Bajaj’s official website, indicating that 135 LS has been discontinued in India. However, the bike was removed due to maintenance issues and is back on the website. It will now be available only in some parts of the country. Recently, there were reports about Pulsar 135 LS being discontinued. However, it has not been discontinued and is still available. The production of 135 LS has not stopped and it is still up for sale. The last update that Pulsar received was in December 2016, which included some minor mechanical changes. The Pulsar family was last upgraded in January 2018, which did not include Pulsar 135 LS. 135 LS was last updated in December 2016 with features like a reworked headlight cluster, body decals, a black-finished engine and a black matte finish on the handlebar. Bajaj Pulsar 135 LS currently costs Rs 62,144 (ex-showroom, Delhi) and comes in a single variant. Bajaj has not made any official statement regarding the matter. However, Pulsar 135 LS along with other three bikes was removed from the official website. The other bikes that were missing from the website include Pulsar AS 150, Pulsar NS 150 and Pulsar AS 200. However, 135 LS has now resurfaced back on their website. Bajaj has stated that, due to some maintenance problems, 135 LS was taken down from the website. According to some of the reports, a new rule has come stating that every bike above 125 CC should have ABS starting from April. While Pulsar 135 LS was cheapest of them, it is said that the production cost was increasing after the passing of this rule. Bajaj Pulsar 135 LS costs INR 62,144, ex-showroom, Delhi. The Pulsar LS 135 also reportedly continues to be in production, thus not requiring the need to be equipped with ABS. While the NS150 was discontinued as the brand introduced a more powerful NS160 in the country market. Also, the same problem was noted with AS 150 and AS 200. The sales of 135 LS has been declining since the last two years. The decline is seen mainly because of the stiff competition it receives in that price range. Pulsar 135 LS was also competing with 150 CC bikes because of the nearing price range. 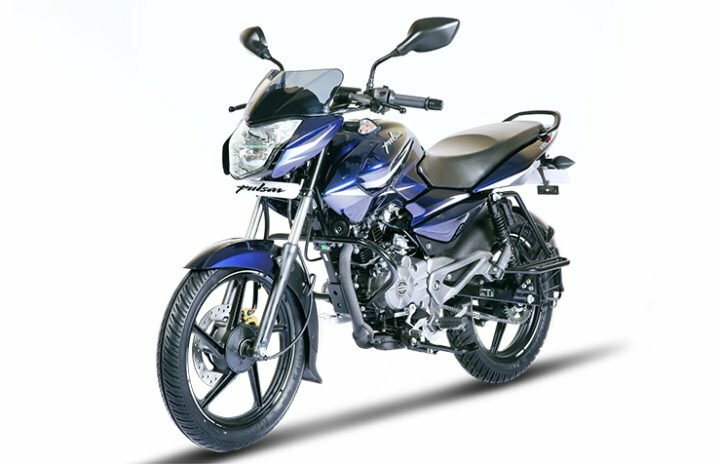 The bike still offers an affordable entry point into the Pulsar family while maintaining sporty looks and fuel-efficient motor. Pulsar 135 LS is powered by a 134.66 cc, 4-valve, DTS-i mill with air cooling. Pairing with a 5-speed gearbox, the engine produces 13.56 PS worth power and 11.4 Nm of peak torque. The bike tips the scales at 121 kg and has a ground clearance of 165 mm. The Pulsar 135 LS was last updated in December 2016 with features like a reworked headlight cluster, body decals, a black-finished engine and a black matte finish on the handlebar. The new Bajaj Pulsar 150 was launched recently without ABS, as it launched before the April deadline. With the new product in the line, Bajaj is now keen to focus on Pulsar 150 more because of the growing competition in that segment.